Whatever good things we build end up building us. The Affordable Classroom Construction Project is a joint initiative between Worldwide Action and The Rotary Club of Shouson Hill, Hong Kong. It was launched in response to the 2015 earthquakes in Nepal which caused significant damage and destruction to schools throughout the country, placing the education of approximately 1,000,000 children in serious jeopardy. 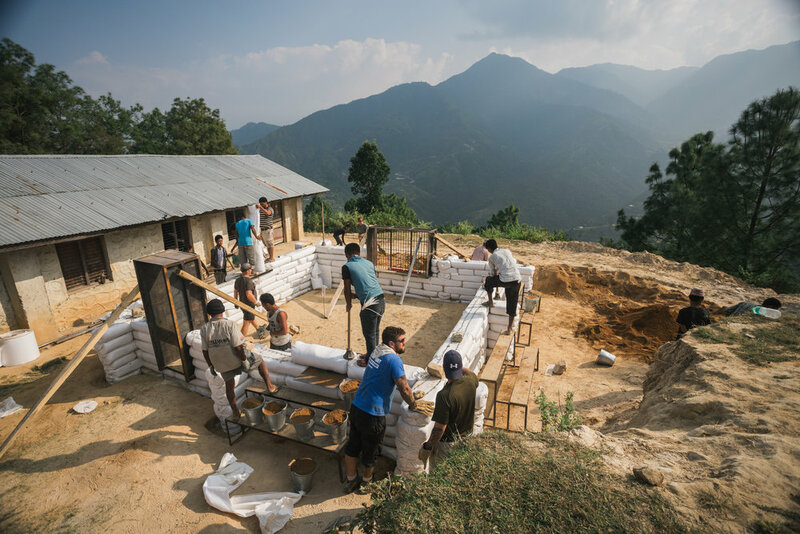 In November 2015 a team from Worldwide Action travelled to the remote village of Palchok and using the 'Earthbag Building' method, constructed a classroom in just 6 days. This system uses recycled and locally sourced materials making it both cost effective and ecologically friendly. The team from Worldwide Action were also able to teach local builders how to construct using this simple process and as a result they have been able to independently complete a further 4 classrooms. Thanks to the continued support from The Rotary Club of Shouson Hill, Rotary International and the success of the initial build project, we are driving this innovative method forward and looking to build more classrooms worldwide. We are always keen to hear from individuals and organisations who have identified schools in need of our support. 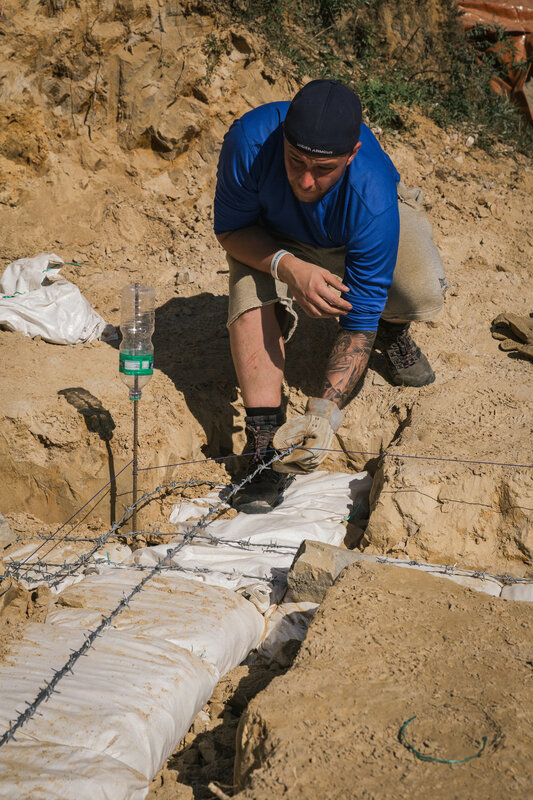 If you would like to learn more about this method, our ongoing projects, offer support or get involved then please do not hesitate to Contact Us or follow us on Facebook or Twitter. Not one but two classrooms were built by our volunteers in May 2017 for children in the Bungamati region of Nepal. A very special trip to Nepal to build another earthbag classroom for children who need it the most - thank you to all our supporters and donors!! In September 2016 volunteers from Worldwide Action travelled to Uganda to assist the Anthill Foundation to build an Earthbag classroom for the Kakira School as part of the Rotary Club of Shouson Hill's Affordable Classroom Construction Projects. 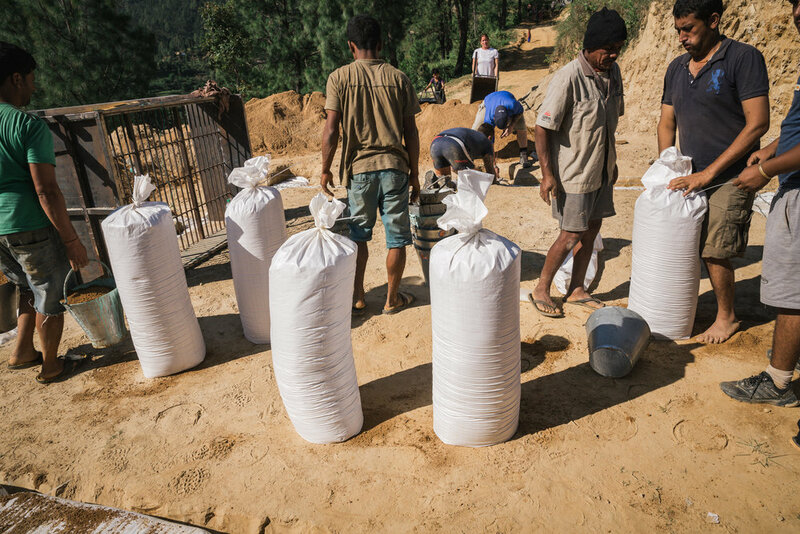 The very first earthbag classroom was built by Graeme and a team of his friends in 2015, in direct response to the earthquakes that devastated Nepal - this was the trip that kickstarted the foundation of Worldwide Action.